Haru Happy Hour | That Yum Factor! On their happy hour menu, you get to choose from an assortment of beer, wine, specialty cocktails, and sake. They have various appetizers and three rolls: California, spicy tuna, and crunchy spicy salmon. It doesn’t have to stop at the happy hour, Haru is extremely affordable no matter what you get. Plus, you can access them from almost every area in the city since they are also located on the Upper West Side, Times Square, Upper East Side, and Wall Street. What I loved the most? The vegetable spring rolls and the crunchy spicy salmon. 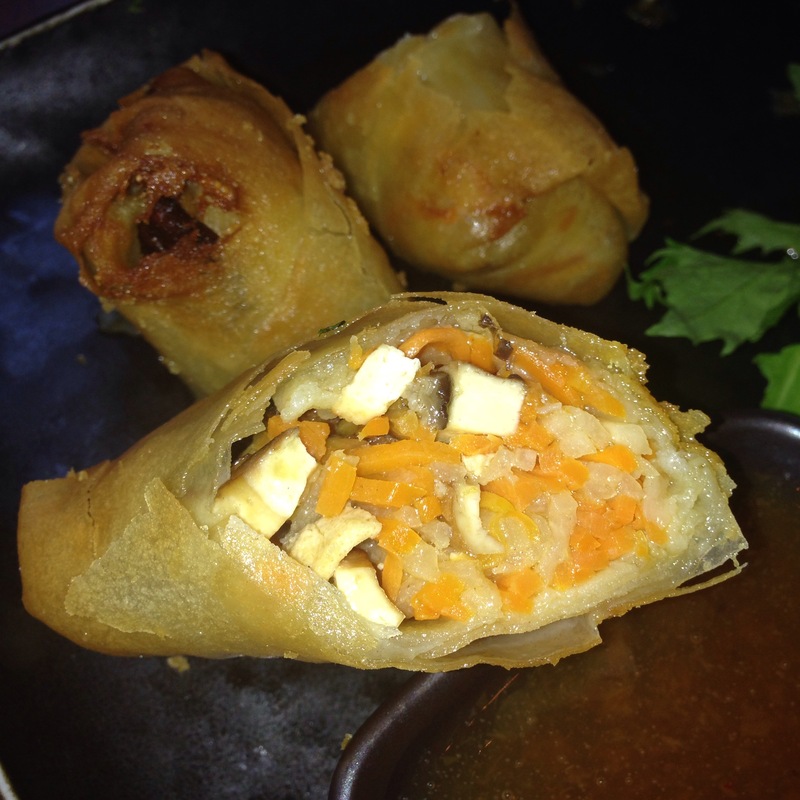 Pictured above is their vegetable spring roll; it was a good-sized portion (came with four) and so full of flavor. The outside was moist and crunchy while the inside’s vegetables complimented each other well. Posted in Manhattan - NY, Image format and tagged Gramercy, Haru, Manhattan, Sushi on September 4, 2015 by thatyumfactor.